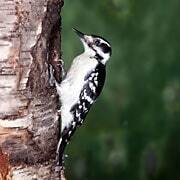 The Hairy Woodpecker is very similar to the Downy in appearance. A white back and white underparts and black wings with white spots. And like the Downy, males have the same red on the back nape. While the females have no red. The difference is their size. The Hairy is about 2 inches longer. Measuring about 8 1/2 to 10 inches in length. The birds bill is almost as long as the head whereas the Downys bill is only about half as long as its head. The upperparts are black and white; face with black and white stripes and the underparts are pure white. The male has a red patch at the nape whereas the female has no red patch. 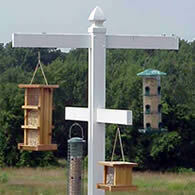 These birds can be found in mature forest, orchards, and parks. 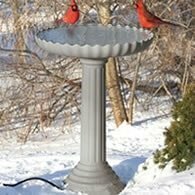 These birds have a slow courtship that begins in deep winter. The male begins drumming on a favorite post to announce that he has set up his territory and to attract any females in the area for mating. An interested female will drum back to announce her presence. 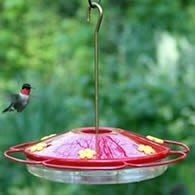 When they approach one another, usually after days or weeks of drumming, they perform special flight displays in which they strike their wings against their sides to produce a clapping sound, or flutter their wings like butterflies, seeming to almost hover in the air. After the pair bond is formed the two mate and begin nesting. 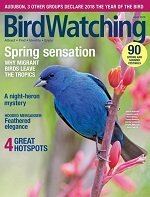 The peak of the breeding season is in April and May and nesting may go into July. Excavating a cavity in a tree anywhere from 3 to 55 feet above ground. The female lays from 3 to 6 white eggs laid on a bed of wood chips. Both male and female incubate and brood the young. The male sits on the eggs and broods the young during the night, and the female relieves him every morning after sunrise. They alternate these duties throughout the day. Incubation last about 11-12 days and the young leave the nest in about 28-30 days after hatching. They will excavate in either dead snags or live trees provided there is heartrot. Habitat size requirements vary depending the type of habitat available. Dense areas will hold more bird pairs than more open areas. 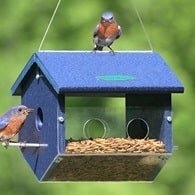 These birds feed on wood-boring insects, berries, and seeds. 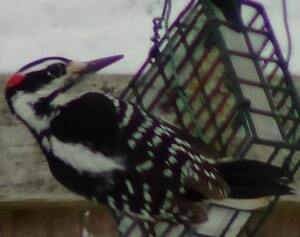 At your backyard feeders the Hairy Woodpecker can be attracted by offering black-oil sunflower seeds and especially suet.